TWENTY FIVE years of Pride festival history has been put on display at the Museum of Perth. 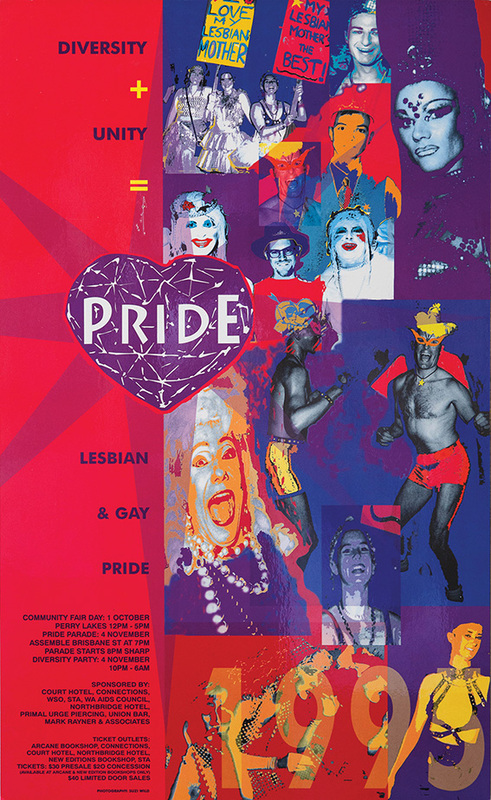 The folks from the independent not-for-profit museum have dug through the Gay and Lesbian Archives of WA to unearth posters, photos videos and artifacts from a quarter-decade of Pride. The movement started back in the early days of the Stonewall Union of Students WA as a grassroots political movement, with the early 1990 photo of the first Pride march showing a bolshy protest with a political bent, morphing over the years to become a celebration of community. Museum chair Reece Harley says they picked this topic in part because the museum’s “keen to shine a light on stories which don’t get enough attention in mainstream media”. GALAWA, which started up in the mid-1990s, had carefully collected rare material from the community but for years it’s been sitting in the basement of Murdoch uni library. • The first Pride march, in 1990. 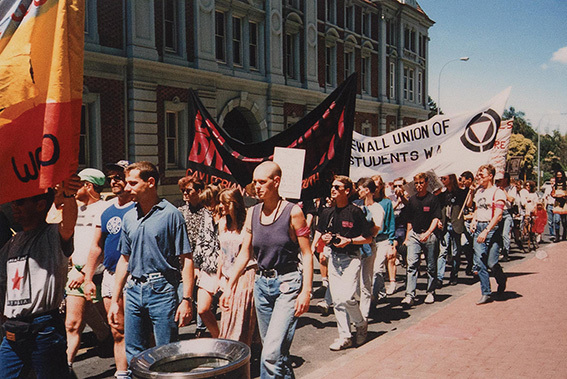 With a new committee getting together earlier this year they were keen to get the material out there, with photos of the first protest full of feathered hair and ‘90s fashion (who knew mum jeans would come back?) through to rolling footage of last year’s more festive celebratory parade. It’s on until Dec-ember 13 at the Museum of Perth in Grand Lane, just off the Murray Street Mall, entry by gold coin donation.